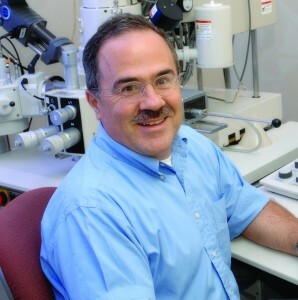 Dr. Papoutsakis holds the Eugene DuPont Chair of Chemical Engineering at the University of Delaware. During his time at Northwestern University he served as Walter P. Murphy Professor of Chemical and Biological Engineering and also was a member of the Lurie Comprehensive Cancer Center of the Northwestern University Medical School. Before that, he was a member of the Rice University faculty. His research focuses on areas of systems biology, metabolic engineering, experimental and computational genomics with applications in stem-cell biology and prokaryotic biology for the production of biofuels and chemicals from biomass. A fellow of the American Academy of Microbiology and the American Association for the Advancement of Science and a founding fellow of the American Institute of Medical and Biological Engineers, Papoutsakis also has received several awards, including the Amgen Biochemical Engineering Award and the Merck Cell Culture Engineering Award, both from the from Engineering Conferences International; the Alpha Chi Sigma Award and the Food, Pharmaceutical and Bioengineering Award, both from the American Institute of Chemical Engineers; and the Marvin Johnson Award and the Van Lanen Award, both from the Biochemical Technology Division of the American Chemical Society. Papoutsakis has published extensively in his field and served as editor-in-chief of Biotechnology and Bioengineering. He also serves on the advisory boards of four journals in the field of biotechnology and tissue engineering, and on the organizing committees or advisory boards of many international meetings. He has authored several issued and pending patents. He has served or serves on the Scientific Advisory Boards (SAB) of four biotechnology companies. He consults regularly and offers expert witness services in the field of biotechnology, and biomedical sciences more broadly. A graduate of the National Technical University of Athens, Greece, Papoutsakis received his Master’s and Doctoral degrees from Purdue University.